Since 1977, TCW Construction, Inc. has been a trusted trade partner to some of Nebraska's most successful businesses and prominent public entities - providing total site management, earthwork, utilities, concrete structures, and concrete paving construction as well as construction management and general contracting services. At TCW Construction, we deliver as promised with our proven experience - consistently providing reliable performance, proactive solutions, and responsive service. Quality results and performance delivered. This is what our clients can expect, and why we value long-term customer relationships. TCW Construction, Inc. is privately held heavy civil and infrastructure contractor providing a wide range of general contracting and management services on a regional basis. We provide an integrated "Turnkey" business model based upon our extended scope of equipment resources and skilled personnel. Our firm proudly has over 40 years of continual operations with the same and intact family-owned business model. We take immense pride in our traditions of delivering consistent and professional service to our customers and the marketplace while evolving to meet the challenges of an ever changing and advancing market landscape. We are confident that once you view our site, you will recognize the TCW Construction is committed to providing excellent service and strives to exceed our customers expectations. We are proud of our employees, and we are proud of the work we do. We invite you to explore our site in greater detail, allowing you to clearly see the factors that set us apart from our competitors. Discover which services our company can provide you with, and or apply for a potential career opportunity. Please feel free to contact me if you would like to inquire about any services we offer, or answer any questions you may have. We would be pleased to have the opportunity to be a part of your next successful project. On behalf of all the people at TCW Construction, thank you again for your time and interest that has brought you to our site today. The roots of TCW Construction are tied into a family owned culture that has developed over decades with hard work, dedication, and our family of employees. 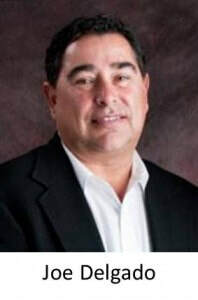 TCW was founded in 1977 starting out with small concrete jobs and originally named Tony’s Cement Works after Tony Delgado. 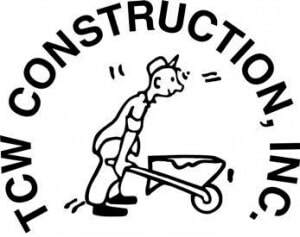 Then in 1998 the company was bought out by Joseph M. Delgado and the name of the company was changed to TCW Construction Inc. Now TCW Consists of a family of companies, which include TCW, Husker Concrete, and American Contracting. Joe started his construction career with Peter Kiewit and Sons in 1980. In 1985, Joe joined his father and became an employee of Tony’s Cement Works. 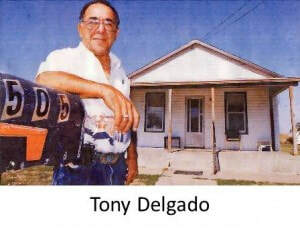 Tony’s original operations consisted of residential and commercial construction dating back to 1977. In 1986, Joe directed the expansion of Tony’s into heavy/highway construction for the State of Nebraska and the Federal Government. In the late 80’s, Joe oversaw the expansion of the business into the environmental construction area. Under Joe’s direction, Tony’s began removing underground storage tanks in 1988, and has performed similar work for the Federal Aviation Administration (FAA), United States Air Force (USAF), United States Army Corps of Engineers (USACE) and other various government agencies. Joe continued to expand the company into hazardous waste removals, remediation systems installations, and operation and maintenance of remediation systems. Joe continues to expand the company. In 1998, TCW acquired a Butler Manufacturing dealership, providing metal building systems to meet a variety of construction needs. TCW decided to expand into this field after constructing a fabricated steel building in 1997 for the United States Department of the Interior – Forestry Service and earned the Excellence in Construction Award in 1997 from the Associated Builders and Contractors. TCW Construction quickly began to expand in the commercial building industry including early projects such as the administration building for USACE in Hastings, NE; the Lincoln Auto Auction facility on South 1st Street; Lamp and Lighting Warehouse on West O Street, Lincoln NE; and two Flex Space Buildings at 601 Van Dorn Street in Lincoln, NE was just the beginning. Creating lasting relationships is one of our primary concerns. The way we do this is by establishing an open line of honest communication to better understand our customer's vision and needs. Our employees ultimately determine the outcome of their work, therefore we recognize it is essential to encourage personal growth, promote accountability, and create opportunities for our employees. TCW Construction is equipped to perform projects ranging from heavy highway projects to extensive commercial metal building, and just about everything in between. With some of the best construction professionals in the industry, we are constantly seeking better ways to do things. We continuously incorporate innovative tools, equipment, and methods into our daily activities to ultimately add merit to our clients. Integrity and the highest ethical standards is the foundation of TCW Construction, and it is expected that each and every employee follow suit, no exceptions. Our established site safety and maintenance plan ensures a safer and cleaner site for anyone who may be present. Through our hard work, we will deliver you a product with the highest quality, on time, and on budget. At TCW Construction, Inc, the health, safety, and welfare of our employees, sub-contractors, clients, and visitors is a priority. Therefore, we are committed to providing the safest workplace possible. We know that successful safety practices start at the top, so we achieve this via leading by example from the top down approach and a shared safety responsibility philosophy. From our top management to our skilled craftsmen, everyone is expected to support our zero accidents goal through methods of clear communication, quarterly management safety meetings, and weekly field toolbox safety meetings. Our unwavering dedication to safety is shared and appreciated not only by our customers and employees, but also by the families of the talented men and women that work at TCW Construction.